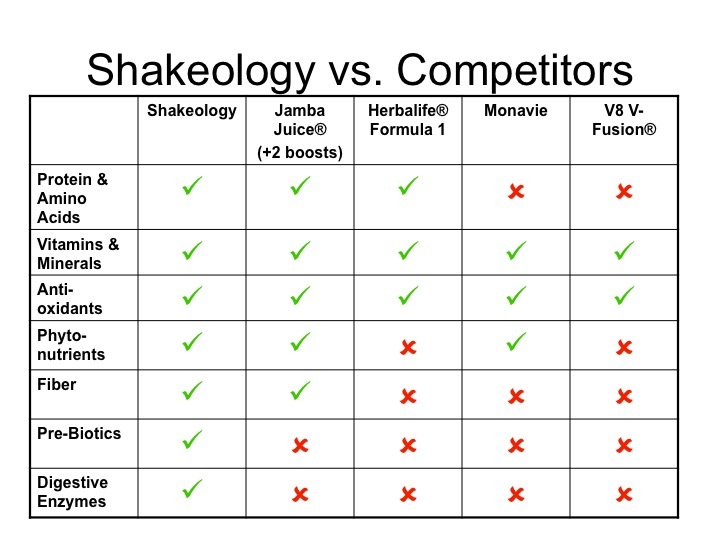 I have been enjoying Shakeology for over 6 years now. I drink it every single day for breakfast, plus if I’m on the run, it makes a great lunch. Yep, I’m addicted. It has helped me to lose 33 pounds AND has lowered my blood pressure. This is significant because there is a history of obesity and hypertension in my family. As a result, I feel healthier and have more energy. Because of my experience, I shared this with my family, and now my husband, mom, and brother are drinking it too. My husband, who is hypoglycemic, has now had his blood sugar levels stabilized, and my brother has lost 10 pounds using it. Hundreds of people that I coach have started using Shakeology to enhance their lives. As a RN, I’m trained to not simply accept things “as is” but to read studies and facts. So, I did my research…and was blown-away! Seriously GOOD stuff! Who would think you could drink a delicious shake, lose weight, and get all the nutrients you need?!?!?! 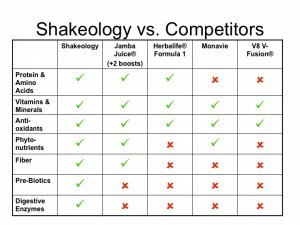 Lots of people want to try Shakeology but are taken back by the cost ($129/month), as I was at first. 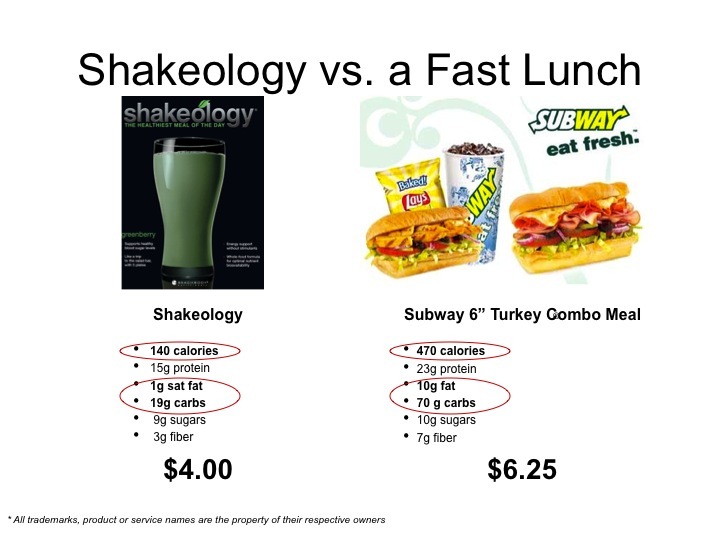 When you use Shakeology, however, as a meal replacement, the cost is completely justified. 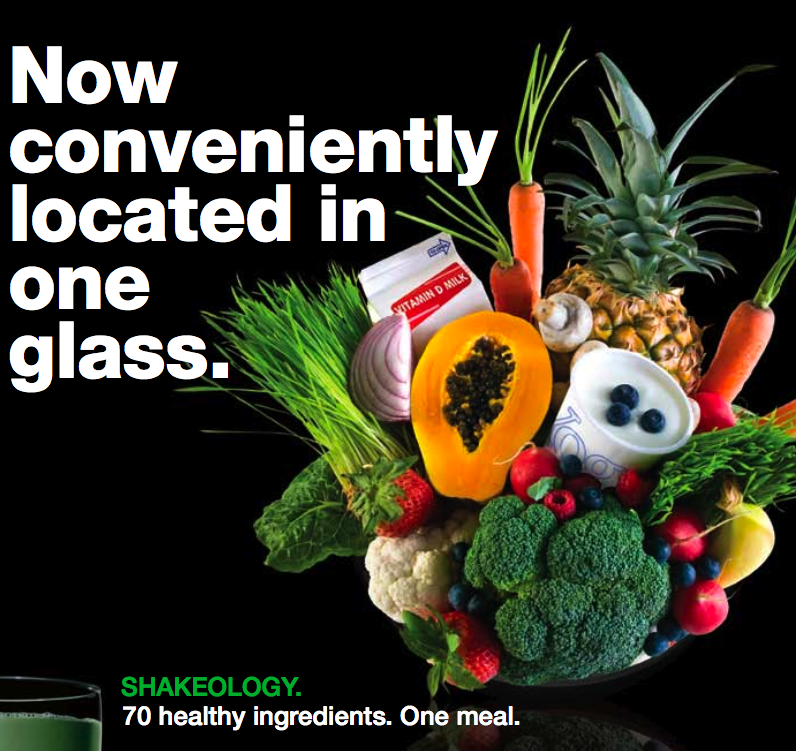 Let’s look at what you would HAVE to eat to get the same nutrition in a single glass. Multiply b y 30 servings and that means you are getting $1235.70 worth of food for $129.95. What a BARGAIN!!! I used to spend anywhere from $5-$8 on breakfast. Now I spend $4 and am putting something into my body that is extremely healthy. 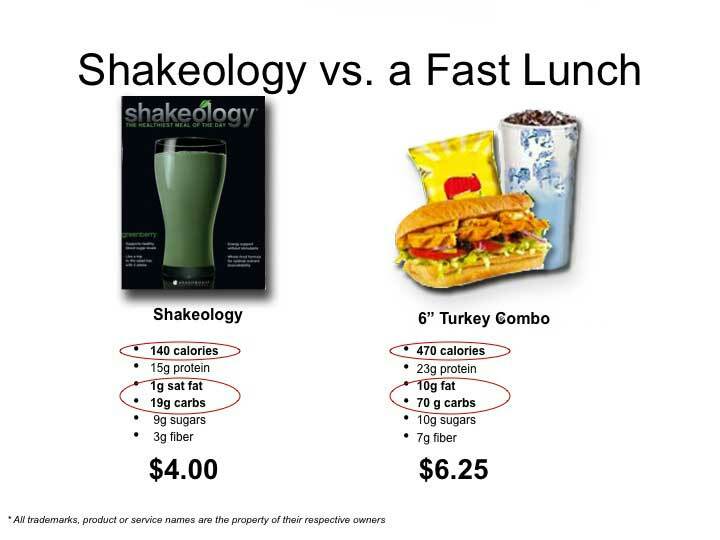 When I’m running around as a busy mom, instead of stopping by the local fast food place and dropping another $5-$10 down for artery-clogging, nutritionally-deficient food, I simply drink Shakeology! Plus, I’m full for 2-3 hours! Take a look at the comparison charts below…WOW! So, you’ve made it this far and have decided that you WANT to try Shakeology. Now what?